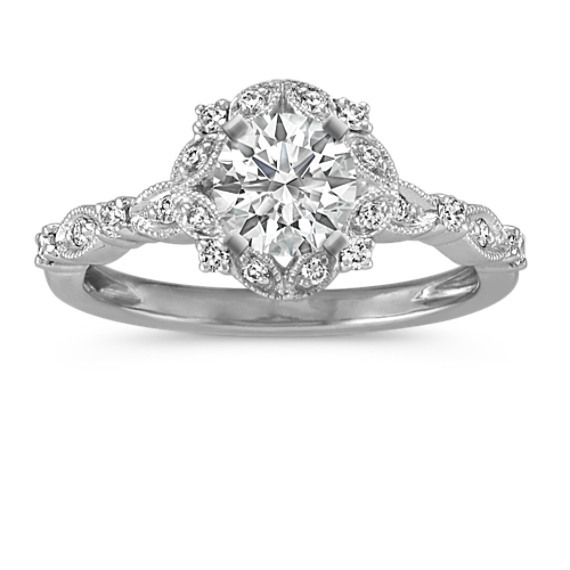 View the Best Collection of Halo Engagement Rings at Shane Co.
Halo Engagement Rings from Shane Co.
Halo engagement rings are among the most popular styles. 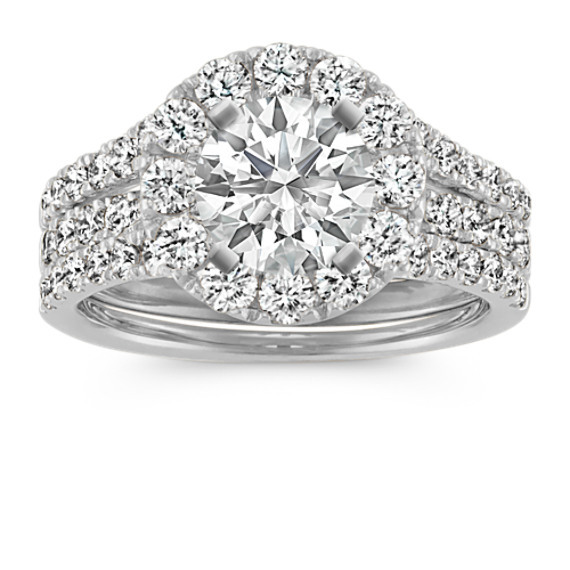 Shane Co. offers the largest selection of unique halo rings for every budget. 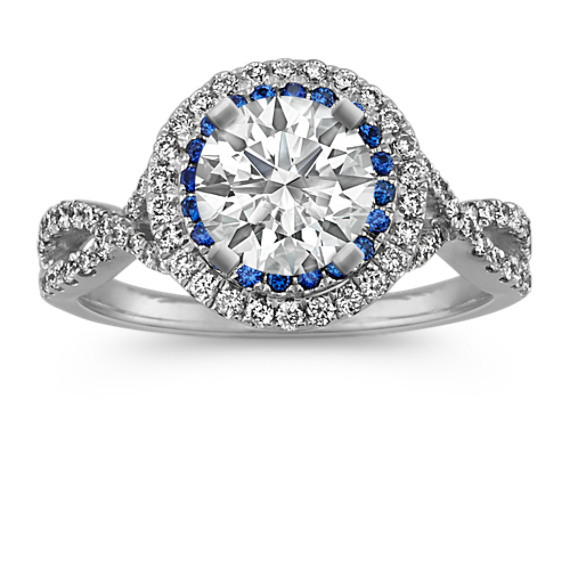 Halo engagement rings features a center stone encircled by a “halo” of smaller diamonds or other gemstones. 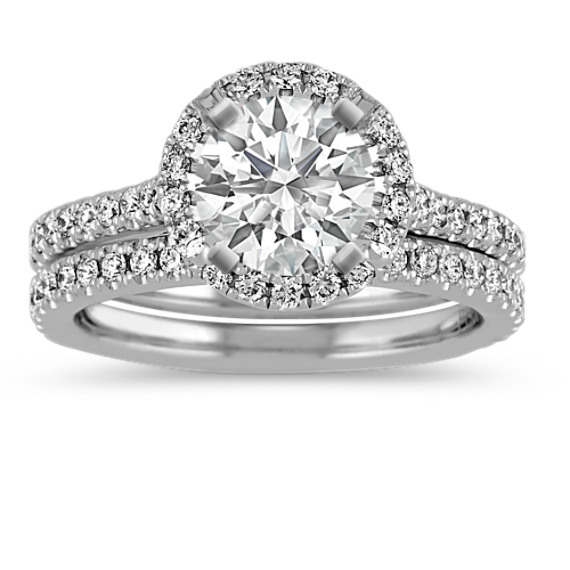 This beautiful setting style makes the center stone appear larger and creates even more eye-catching sparkle for your ring. 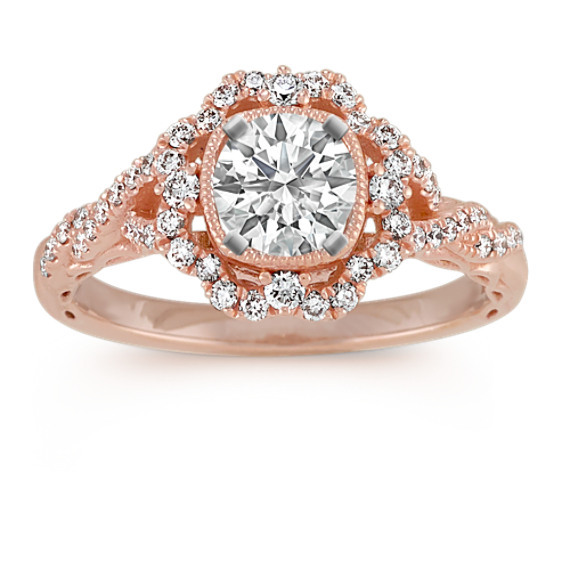 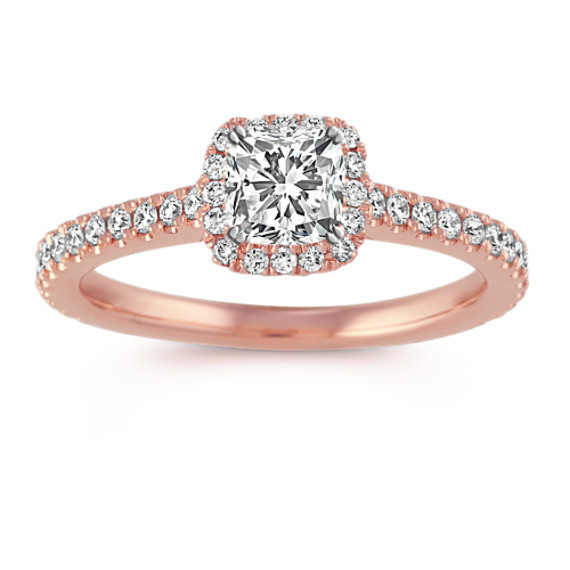 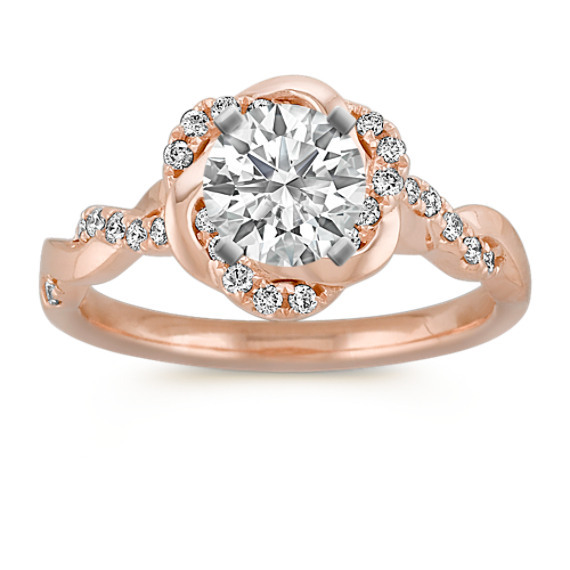 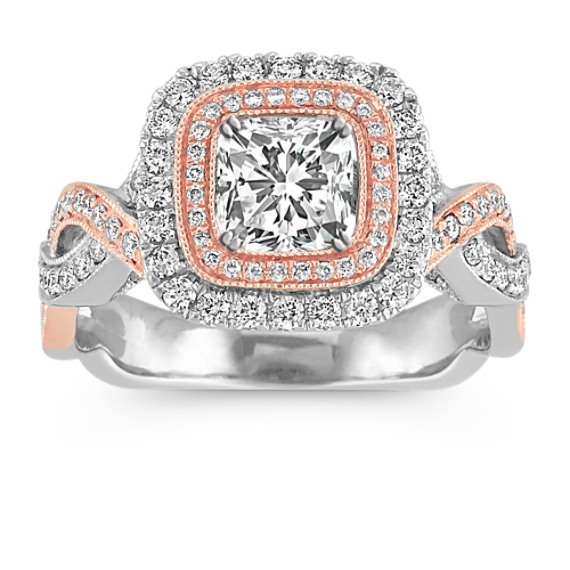 Shane Co.’s selection of platinum and 14k gold halo engagement rings includes the widest variety of looks, including styles in our signature shade of rose gold. 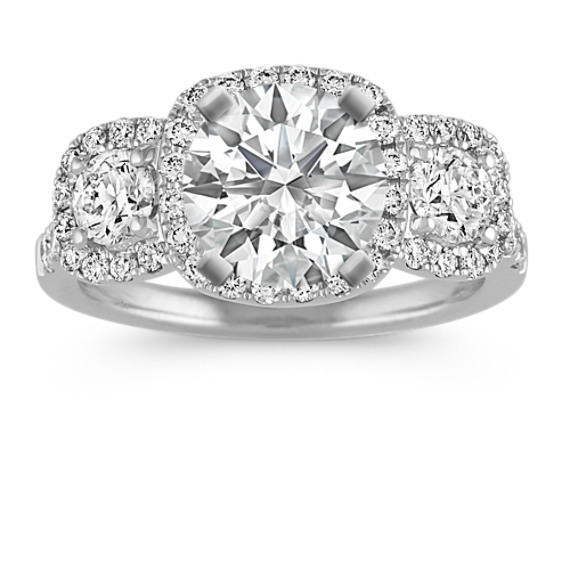 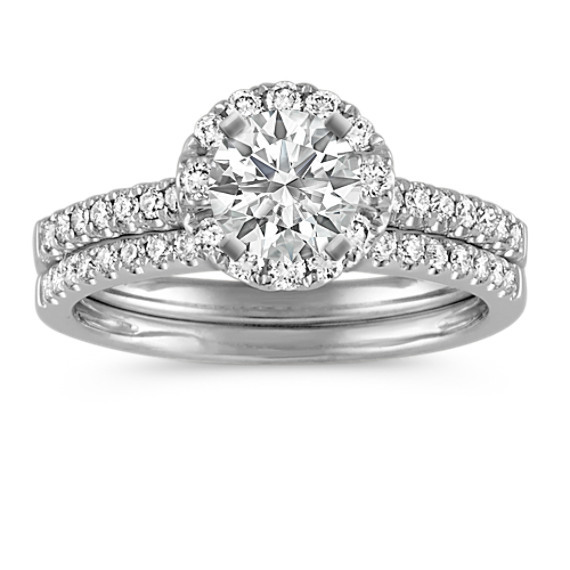 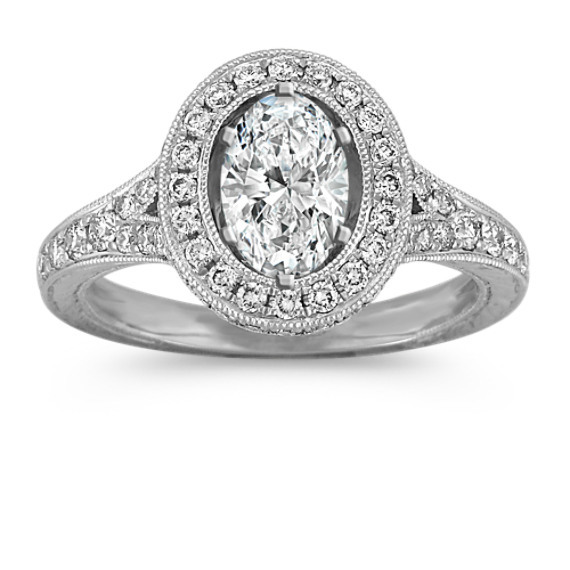 Many of our halo styles feature double halos around the center stone. 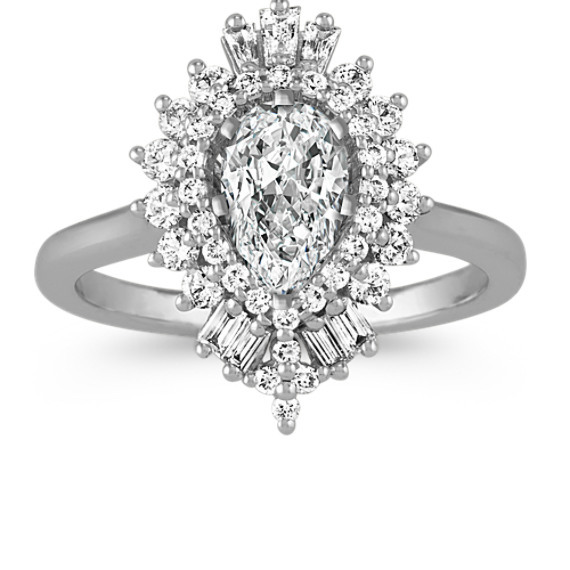 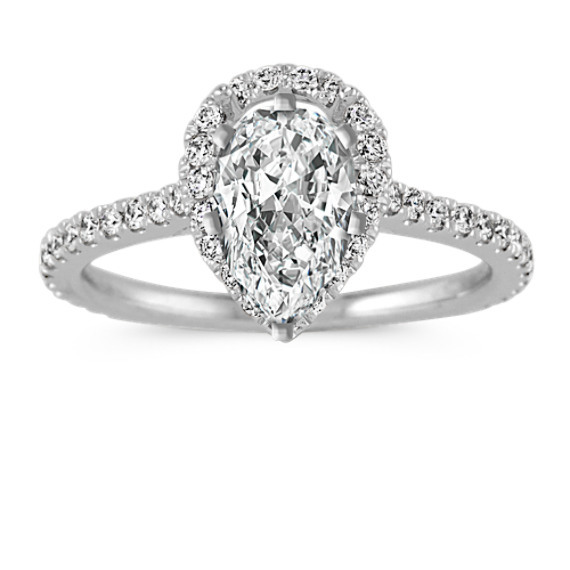 We also offer halo rings in many different shapes including round, pear, oval, marquise, cushion cut and others. 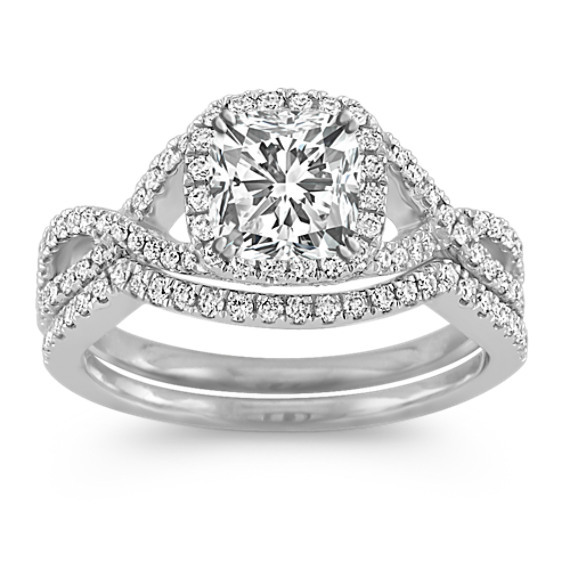 Our exclusive and innovative Eternally Yours halo engagement rings allow the center diamond to sit flush with the halo, creating a lower profile that has a sleek, modern look. 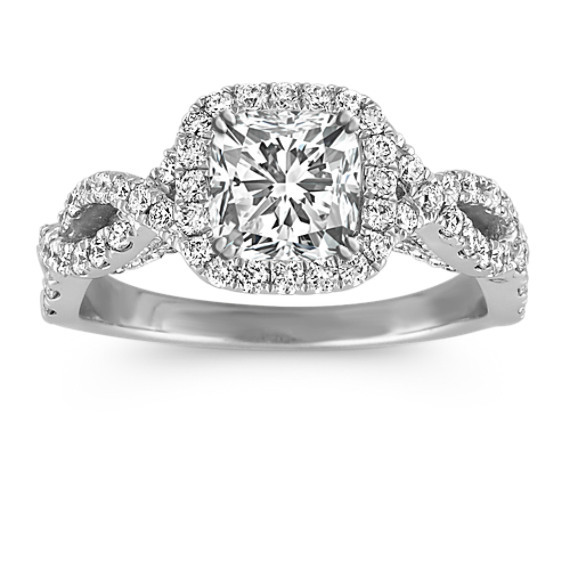 We also offer infinity engagement rings, three-stone engagement rings, and swirl engagement rings with halo designs. 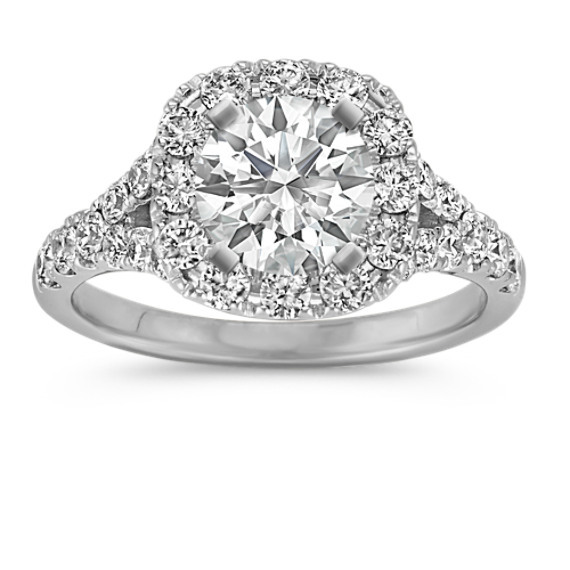 Unlike most other jewelers who buy the same ring styles from the same manufacturers, we design our own engagement ring styles so you’re ring is guaranteed to be unique. 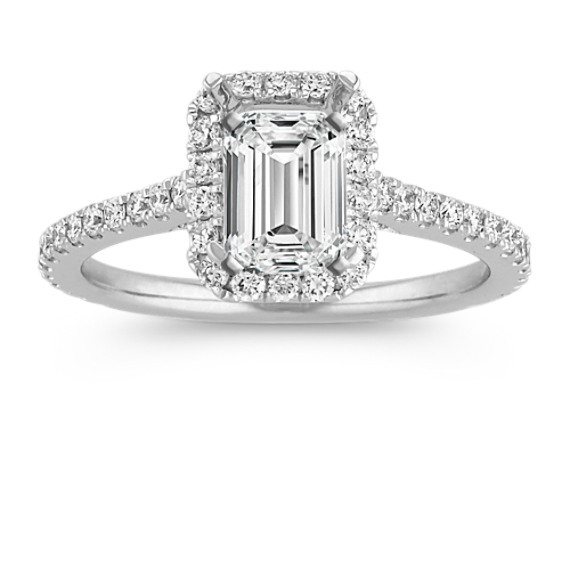 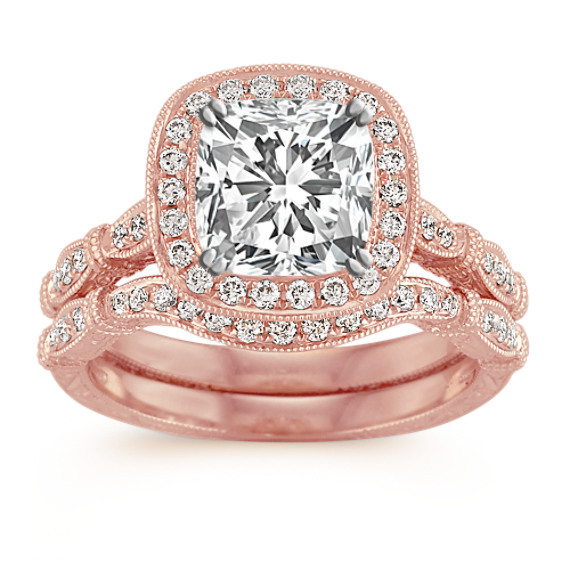 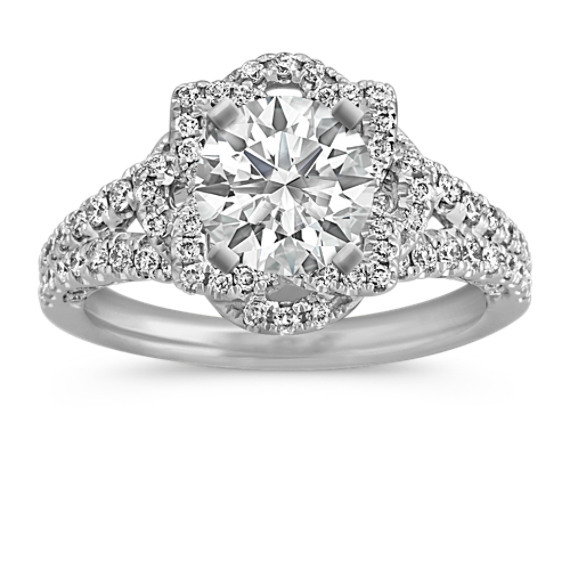 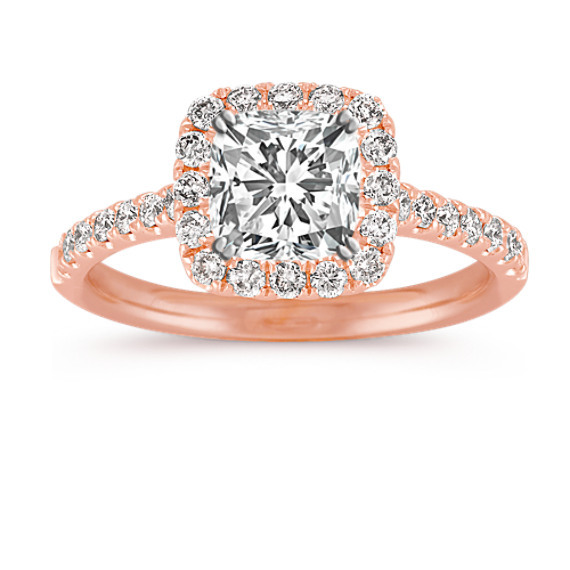 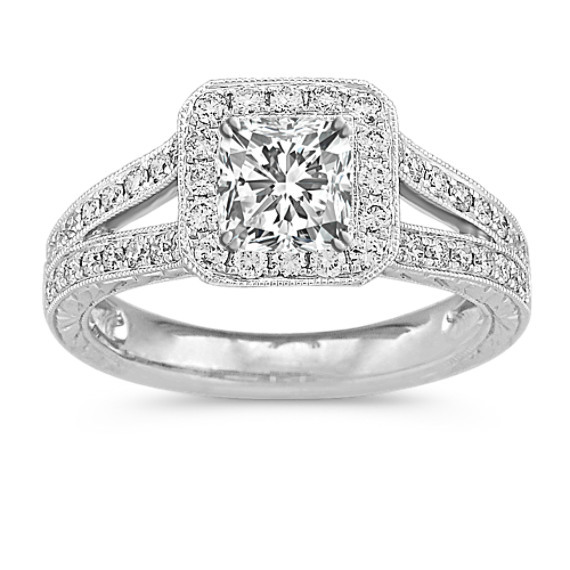 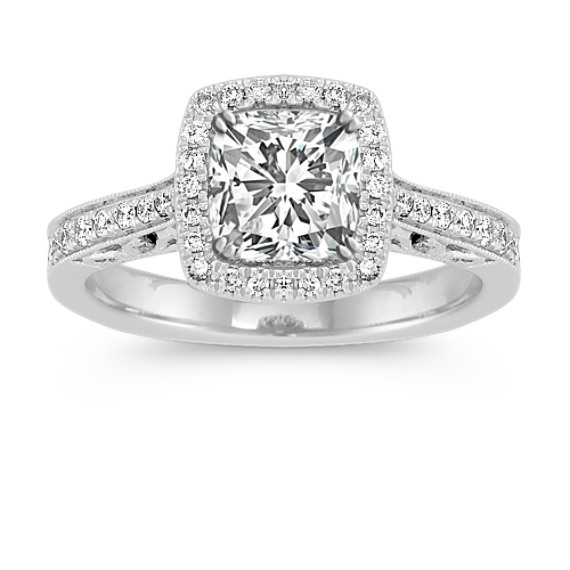 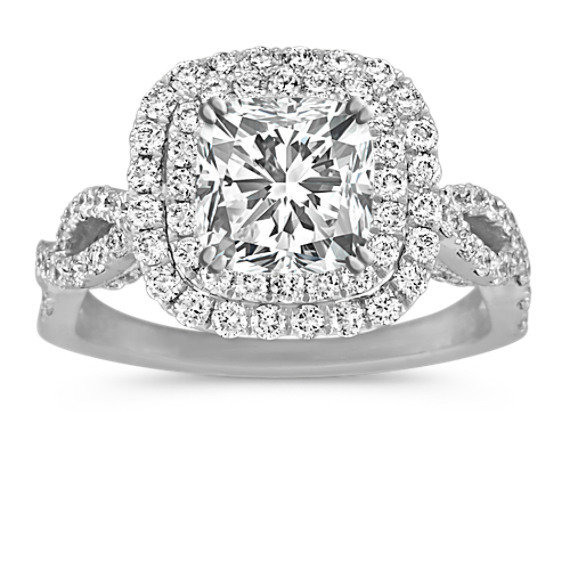 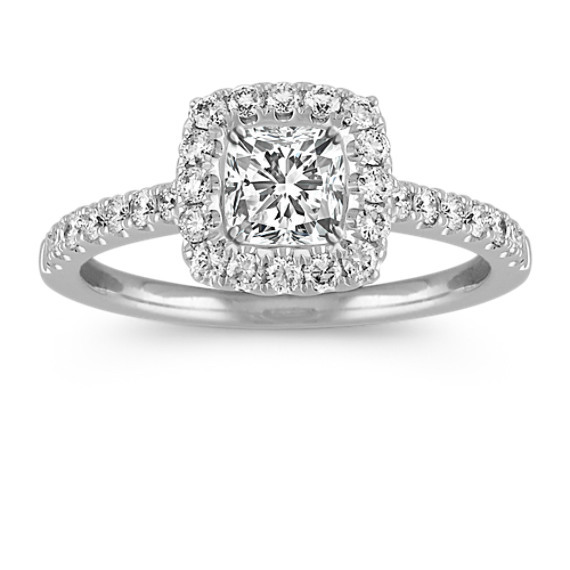 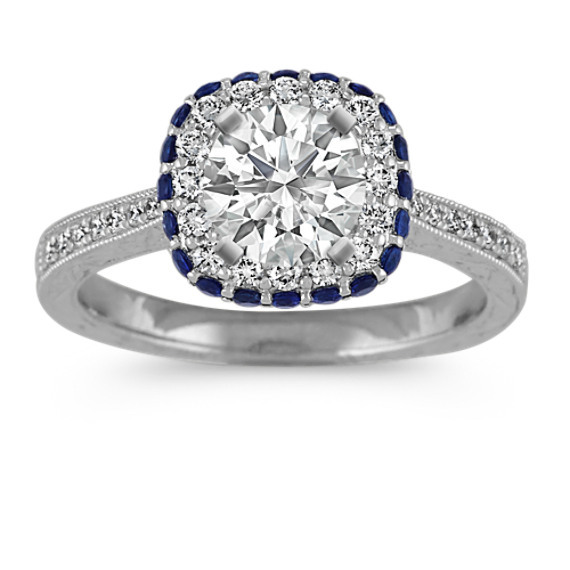 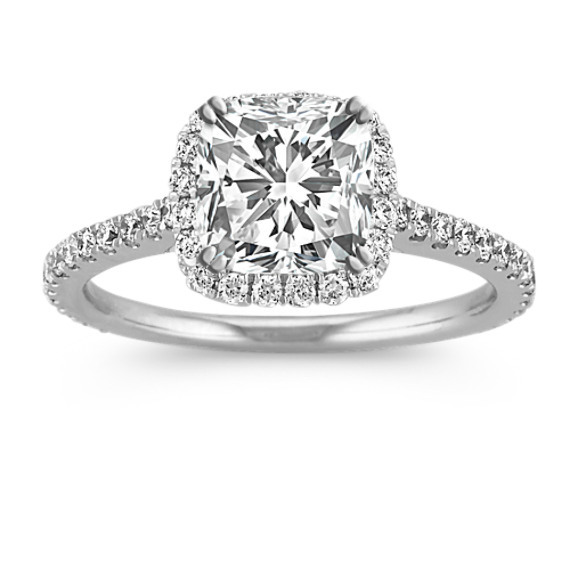 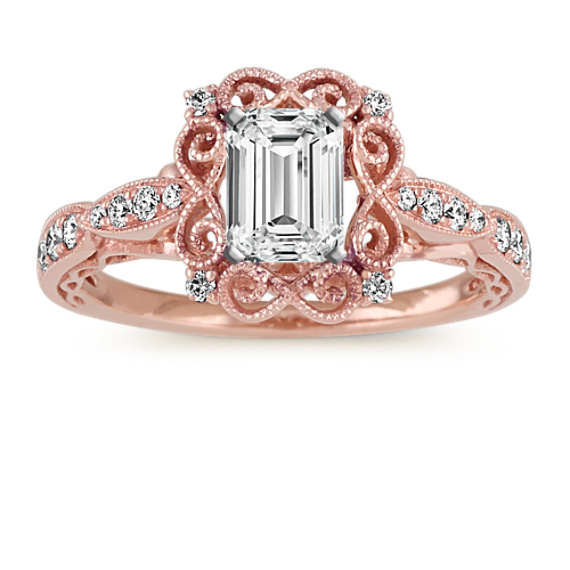 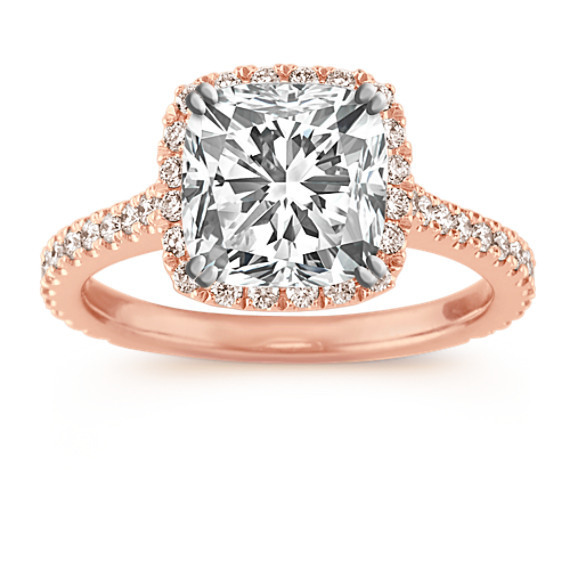 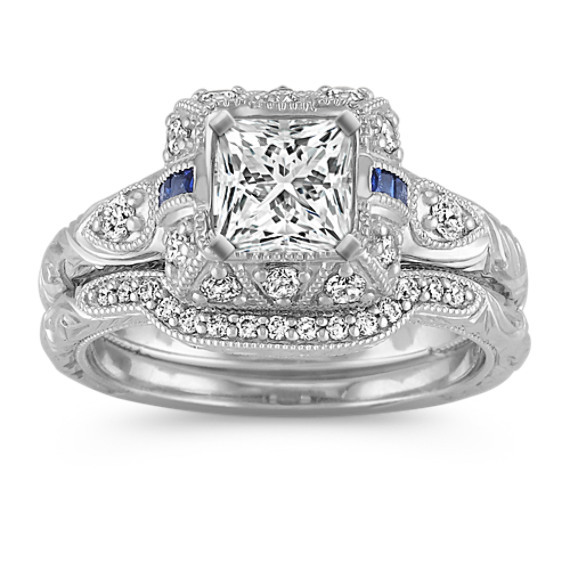 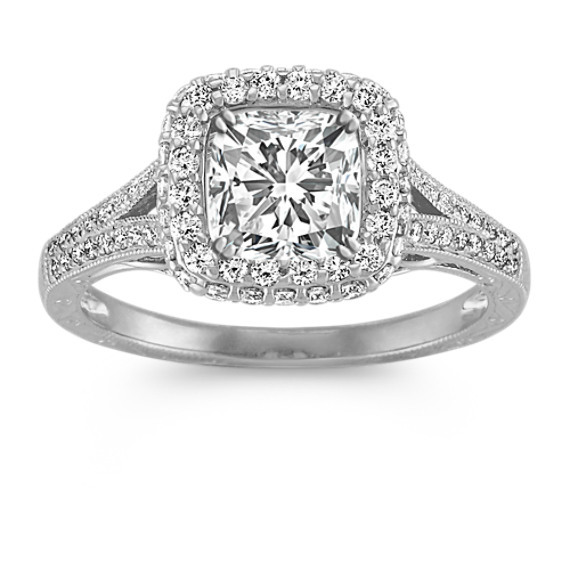 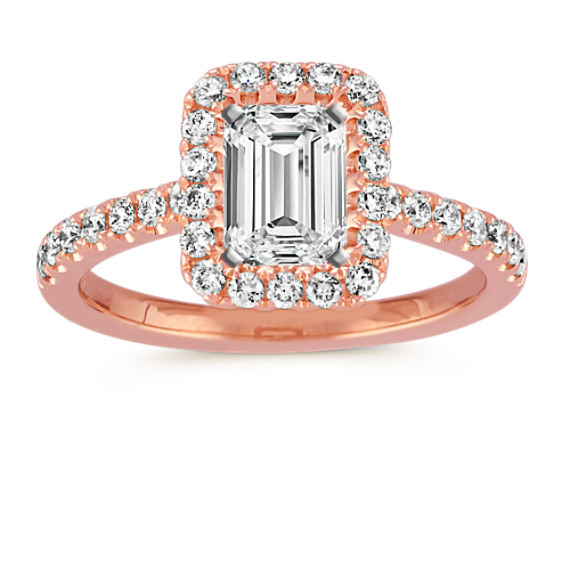 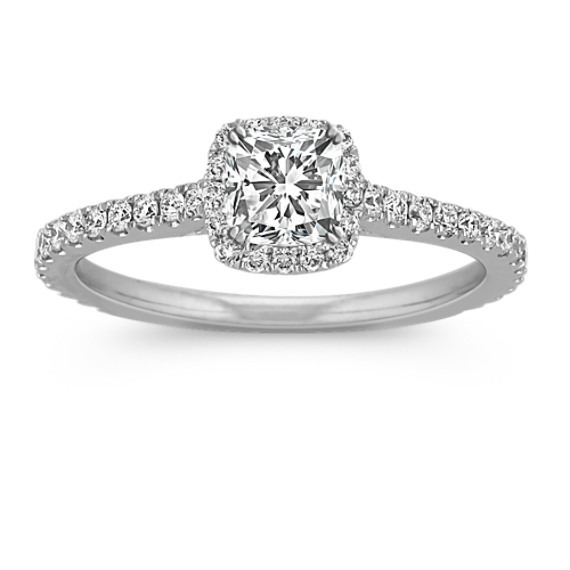 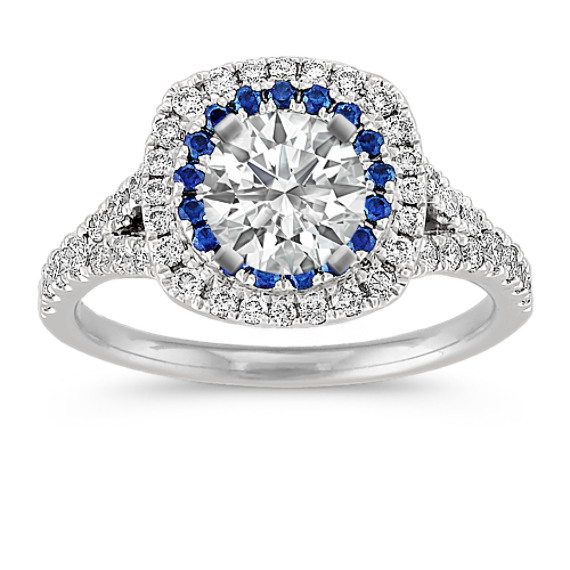 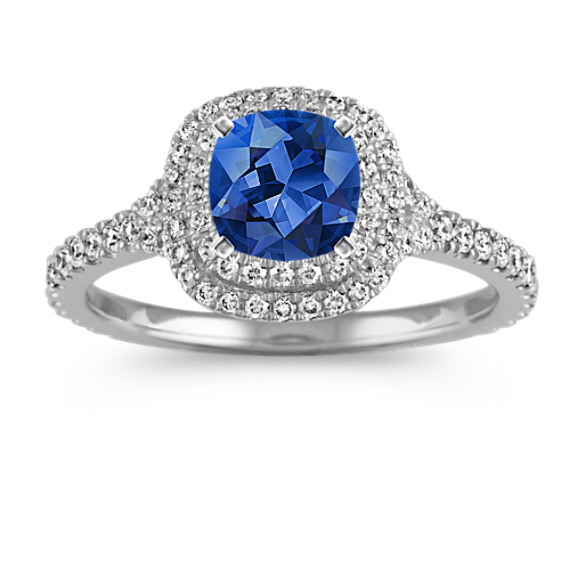 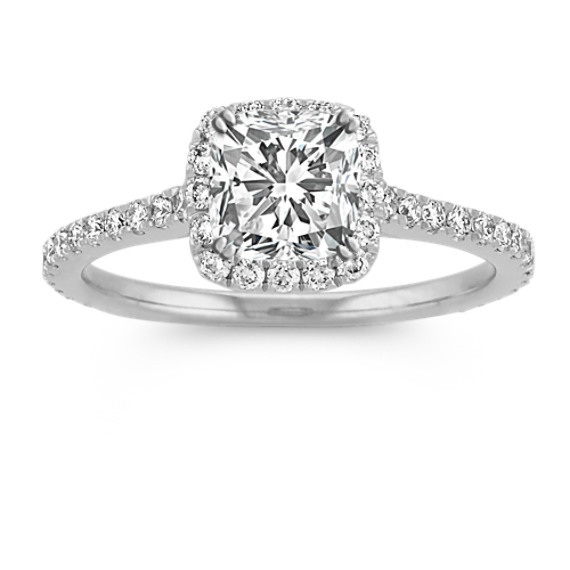 Can I customize a halo engagement ring? 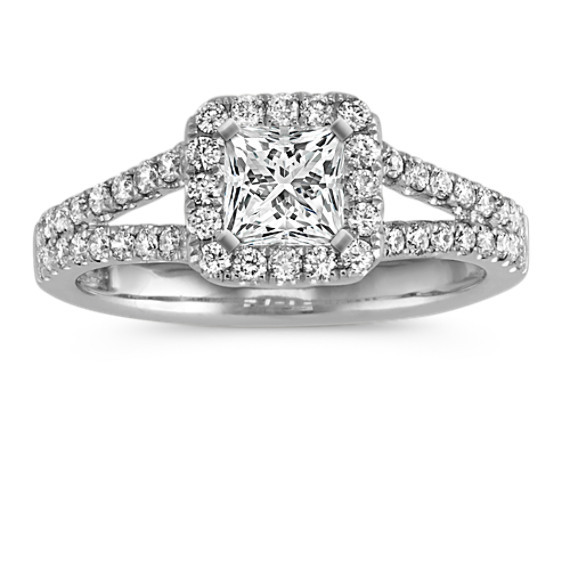 You can at Shane Co. and ShaneCo.com. 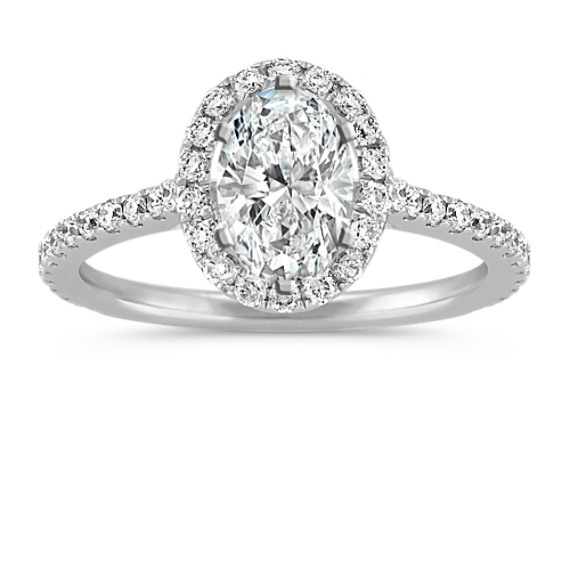 First choose your setting, then choose your center stone, and finally, admire your masterpiece. 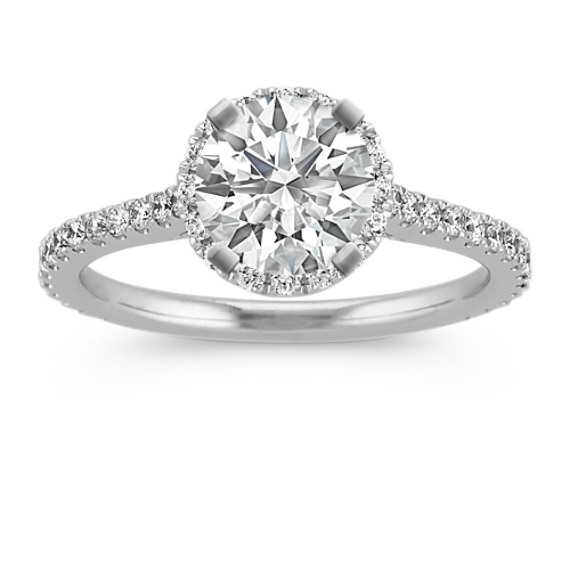 With thousands of loose stones to choose from, it’s easy to create a diamond halo engagement ring that fits your budget and matches your personal style. 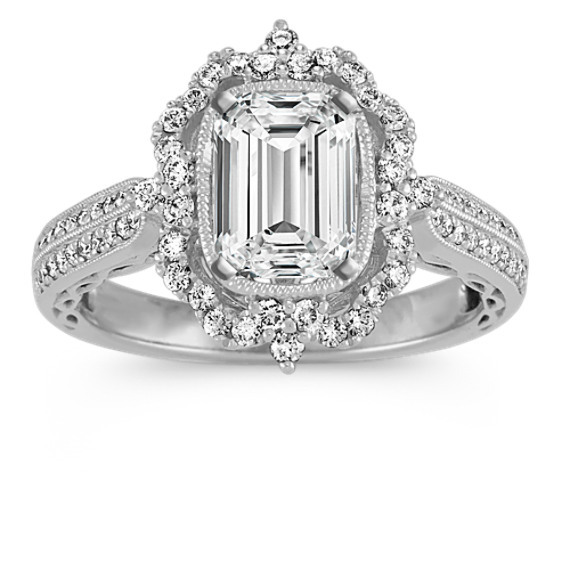 What’s the history of halo engagement rings? 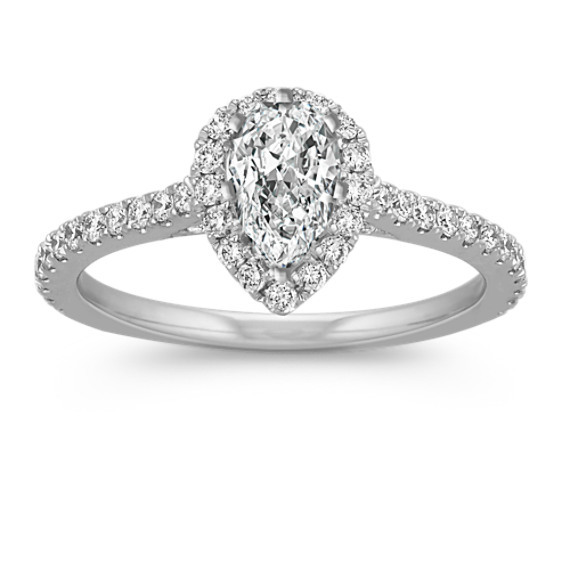 Halo diamond engagement rings were first seen in the early 1700s in Europe and increased in popularity in the Victorian era. 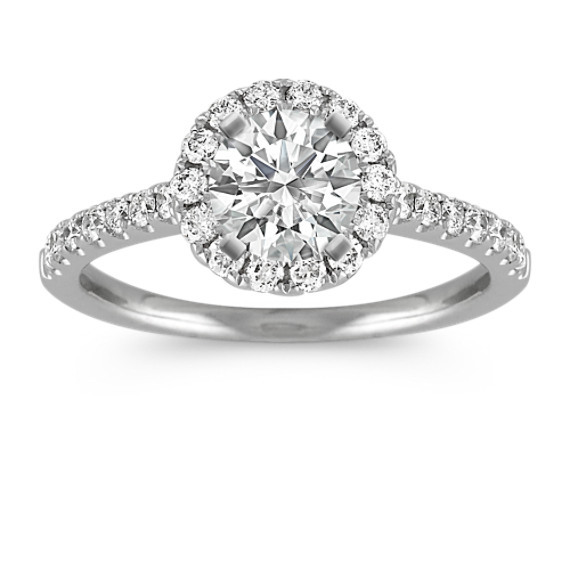 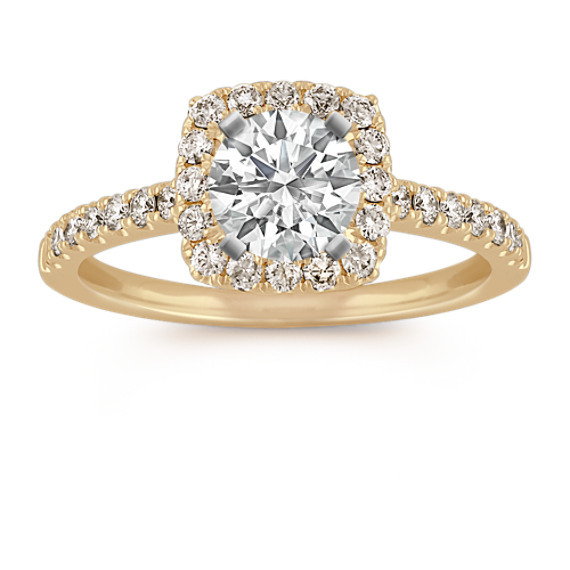 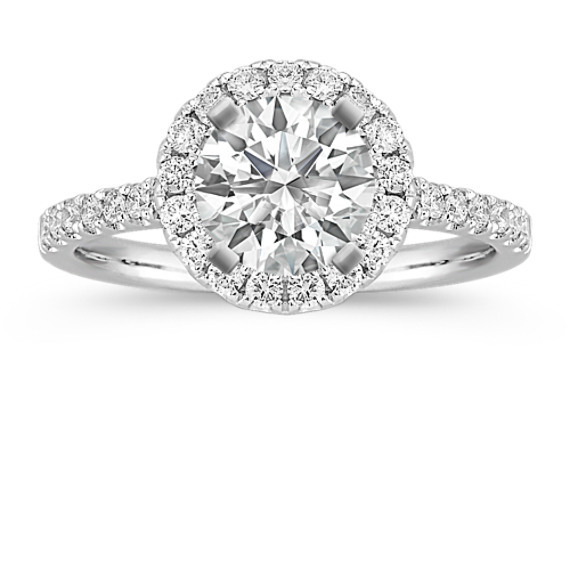 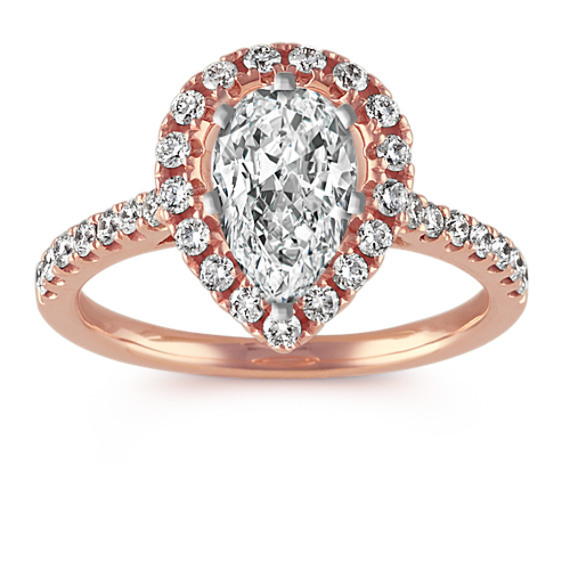 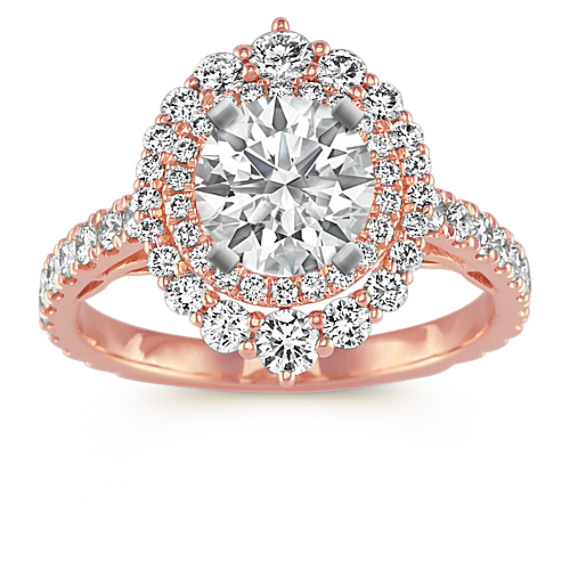 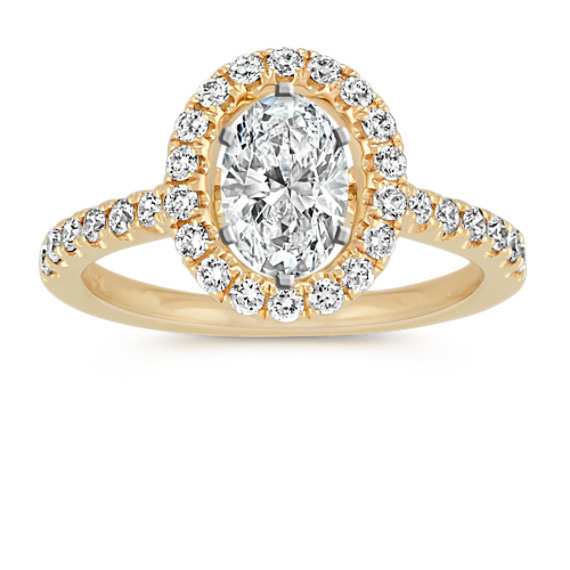 A century and a half later, round halo engagement rings remain one of the most sought-after ring styles.